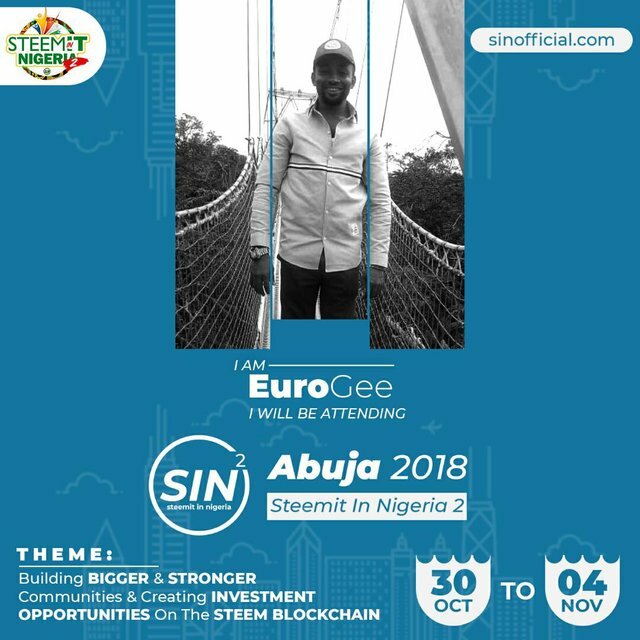 This year's Steemit In Nigeria Conference will be different in many ways which make it a must-attend conference for every serious Steemian out there. We will have in attendance a whole lot of steemians from many countries including USA, England, South Korea, Germany, South Africa, India, Malaysia, etc; your favorite whales and dolphins, the whole steemit bourgeoisie with far reaching social tentacles will be in attendance. SIN2 conference gonna be a great platform and opportunity to ask them those questions you have always wanted to ask, exchange contacts, market your programs and network more effectively. SIN2 conference comes with enticing opportunities with lots of irresistible allures. The organizers have heard all your complaints and have gone far in attracting viable solutions and opportunities to address them. All these to be unveiled during the course of the conference. You won't wanna miss this! Nigerians, as a people, have done so much in selling steem ecosystem to investors and bloggers alike. There are many Nigeria based projects doing amazingly well in their various niches of interest, building viable businesses on steem blockchain and directly or indirectly causing far reaching adoption of steem ecosystem. The actors are no whales neither are they dolphins nor among the highest earners, yet they are ever ready to use the little they earn for the success of steem and its associated DApps. In this regards, @nairadaddy of @air-clinic, @ogoowinner of @naijapigin, @ehiboss of @genesisproject, @surpassinggoogle of @steemgigs, @samstickkz of @steem-uyo, @smyle of @euronation, @ewuoso of @steembees, @michaelcj of @steemcamp @destinysaid of @africanunchained, @fisteganos of @one-quality, @oluwoleolaide of @steem-lagos, our ever supportive invisible @infovore, the guys at @Stemng: @greenrun and @gentleshaid, @maryfavour of @redfishpillar @chiama of @wafrica; all of these great steemians and others too numerous to mention come to mind. 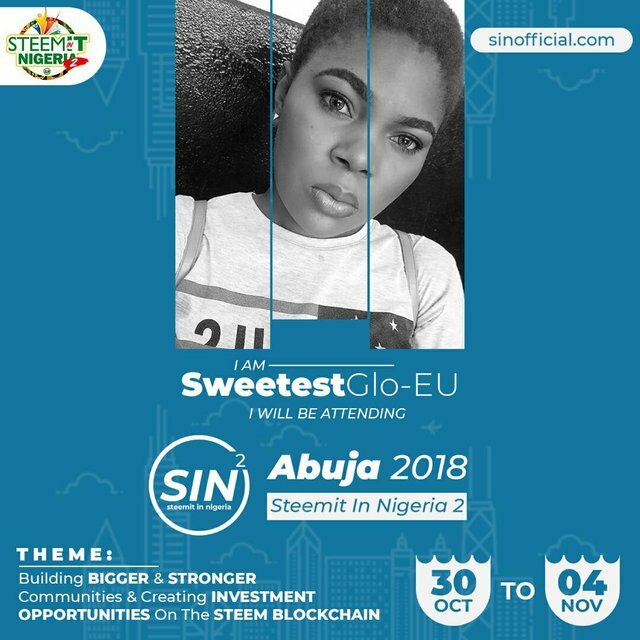 Steemit In Nigeria Conference seeks to bring these great men and women Steemians of Nigerian decent, and all Nigerian steemians to a round table, rub minds, discuss steem and articulate an effective roadmap for a more vigorous and prosperous steemit community in Nigeria. It is Steemit In Nigeria Conference! And this explains why I, @eurogee, and the whole of Euronation family will be part of it; and I want you to be part of it too!